The North Island is home to tropical beaches, active volcanoes, beautiful and delicious wine country, and the largest city in the country. The Coromandel Peninsula, south of Auckland on the east coast of New Zealand, is filled with warm sandy beaches, lush green hillsides, and stark white cliffs. 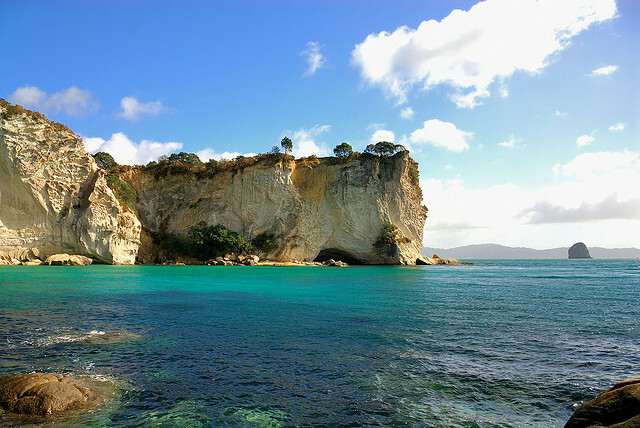 On my dream trip to New Zealand, I would spend 3 - 5 days relaxing and exploring the beaches and trails around Coromandel. To the southeast of Coromandel, in the Bay of Plenty is Whakaari, or White Island. The only way to get there is by private tour, but as the only active volcanic island in New Zealand, I think it would definitely be worth the trip! The nerdy Tolkien fangirl in me wouldn't consider a trip to New Zealand complete without a visit to Hobbiton. Outside Matamata, the village of Hobbiton built for the films still exists. You can even have lunch and a beer at The Green Dragon! Normally I stay away from large guided tours, but this one would absolutely be worth it! The most active day of my dream trip to the North Island of New Zealand would be spent hiking Tongariro Crossing. This difficult trek takes you through the dramatic active volcanic landscape, studded with turquoise lakes, multicolored rock, and steaming volcanic vents. At 12 miles and 2700 feet of elevation gain, this hike takes 7 - 9 hours. Find lots more info about this breathtaking adventure here.